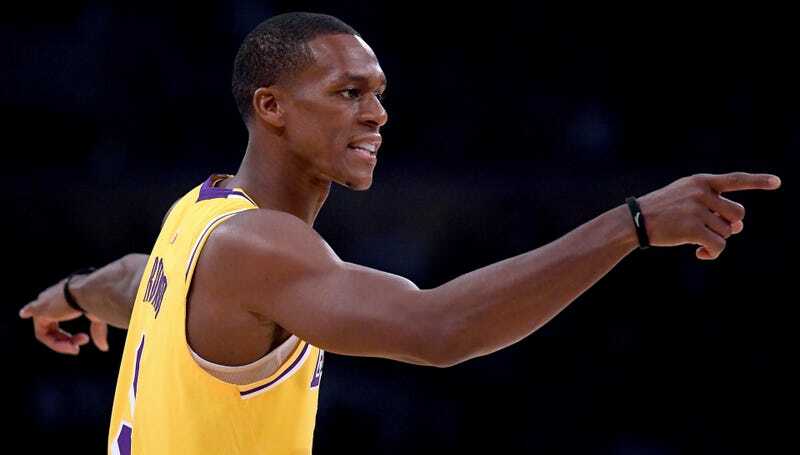 Cranky Lakers point guard Rajon Rondo is currently serving a three-game suspension for his role in last weekend’s brawl between the Rockets and Lakers. That’s one more game than Chris Paul got, and it seems Rondo will be forced to sit out that extra game because of the possibility that he spat in Paul’s face. Enhanced footage shot by Rockets video staff appears to show something wet coming out of Rondo’s mouth during the early part of the melee. The Rockets all think Rondo spit on Paul, and their case centers around the high-quality footage that shows something zipping out of Rondo’s mouth onto Paul’s face. Rondo has been steadfast in his claim that it was only an “exasperation,” and that he got a raw deal because Paul lied. “Y’all are playing me with these tricks or these mind games, tampering with the evidence,” he said. There you have it: The NBA executed a pro-Chris Paul conspiracy because he’s a nice guy who does commercials, in the process falling for a doctored video and ignoring Rondo’s mouthguard and Eric Gordon’s posture.